Soumhya Venkatesan is a lecturer in Social Anthropology at the University of Manchester. She did her BA in History at the Women’s Christian College, University of Madras, an MA in Art History at the National Museum Institute in New Delhi and her MPhil and PhD in Social Anthropology at Christ’s College, Cambridge. She moved to Manchester in 2006 following a Hunt Memorial postdoctoral fellowship (Wenner-Gren Foundation) and a postdoctoral research position at King’s College, Cambridge. Craft Matters explores the ways in which ‘traditional Indian craft-producer’s engage with the efforts of governmental and non-governmental agencies to preserve, promote and develop their crafts. 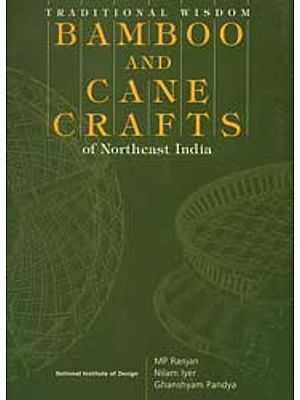 Based on long-term ethnographic fieldwork among the Labbai Muslim mat weavers of Pattamadai town in South India, this anthropological study explores the ways in which the famous pattu pai or high-quality silk-like mats of Pattamadai became classified as traditional craft objects, and what this classification has meant to the weavers who are now simultaneously national heroes and (paradoxically) marginalized and suspect Muslims. Handwoven by poor Muslims and bought by elite Tamil Hindus for use in marriage ceremonies and as craft objects by other affluent sections of society, the mats are made within the literature to embody liberal ideals of harmony between Hindus and Muslims, rural poor and urban elites, the past and the present, and tradition and modernity. The mats make their weavers accepted and celebrated within the wider nation, allowing them to act on the national stage. However, this is constantly constrained by the very ways in which ‘craft’ is conceptualized in India. This book will be of interest to anthropologists concerned with the agency of objects, the production of persons through things and the workings of development on the ground. Written in a lively and jargon-free style, it will also be of interest to scholars of development, development practitioners and all those fascinated by craft. India, 1953. The nation has been independent for six years and whilst some are eager to banish the traces of a colonial past, others are keen to retain either economically useful or deeply felt emotional ties with Britain. Take Mr. Rangan, for example: a chief agent with the Royal Insurance Company in Madras. Mr. Rangan seems to have been reluctant to relinquish connections with Britain. He also seems to have harboured a rather remarkable ambition to sell, according to someone who knew him at the time, an insurance policy to the Queen of England. This may be a slightly malicious comment; we will ignore it. Nevertheless it remains that he wished to commemorate the coronation of Elizabeth 11 on 2 June 1953, and in a way that would bring himself and the nature of his business——in insurance•—to her attention. I Madras was renamed Chennai in August 1996 in an attempt to banish the city’s colonial past—the name Madras coming from the British, who had built Fort St George in 1640 around which the city grew. But, as it was called Madras in Mr. Rangan’s time, I will continue to call the city Madras here. Moreover, when I began fieldwork in 1997, many people with whom I worked referred to the city as Madras. Several continue to do so interchangeably. Though Mr. Rangan lived in Madras, a close relative of his lived and worked as the district public prosecutor in the southern city of Tirunelveli, near which is a small town (a village in those days) known as Pattamadai. Both Hindus and Muslims live in Pattamadai, though it is the latter that concern us most closely For, among the Muslims of Pattamadai was, and still is, a sub-group known as Labbai who specialize in weaving extremely fine mats on simple handlooms. These mats look and feel like they are woven from silk rather than the lowly reeds which actually form their raw material. Finer than almost any other kind of mat woven in the region, Pattamadai mats had already won critical acclaim at the Delhi Exhibition of 1903; the entry from Pattamadai was awarded a Bronze Medal in the mats category. The Delhi Exhibition had showcased manufactures from all over British India thousands of objects were brought to Delhi, officials travelled the length and breadth of the subcontinent seeking out makers of manufactures that would make suitable exhibits (Watt, 1904). Pattamadai mats, then, were considered of very fine quality by the colonial state and this was recognized with a medal. This mark of the colonial state’s appreciation, the proximity of Mr. Rangan’s relative to Pattarmadai, and the ability of the weavers to (write-weave” names and numbers on the mats—all this may have influenced Mr. Rangan’s decision to gift Elizabeth II a Pattamadai mat to mark her coronation. A great deal of thought and preparation went into the gift. According to weavers who remember, Mr. Rangan’s relative came to Pattamadai to commission the mat for the Queen. More than one weaver wanted to weave it. So the question was put to tender. The weaver willing to charge the least would have the honour of weaving the mat. But the other weavers nonetheless did help the selected weaver in his effort. Mr. Rangan had very precise requirements. After all, the mat was special: it would embody the connection with the Queen that he so ardently desired. The weaver was asked to use silk threads to weave the name of the Queen onto the mat, her title as Head of the Commonwealth and the date of the coronation. These would all appear at the top of the mat. At the foot of the mat would be woven Mr. Rangan’s name and his professional affiliation. A government publication devoted to the mat weaving industry of Pattamadai reports that ‘the mat was duly presented to the Queen and was on exhibition along with other presents (1964: 6) This exhibition brought the ‘superb specimen’ to the attention of the All India Handicrafts Board, the newly formed central government agency for the support and development of those Indian hand manufactures identified as “craft objects’. The chairperson of the board, Kamaladevi Chattopadhyay, visited Pattamadai in 1953 and set a chain of events in motion. These included classifying the mat weavers as a ‘traditional. craft c0mrnunity’, encouraging them to form a craft cooperative society; giving them land to build houses and tools with which to weave, plugging them into state and non-governmental development initiatives and making them—a group of poor and marginalised rural Muslims—visible and desirable within the state. The above is a composite reconstruction of a story told and retold within and beyond Pattamadai, one that, over the past fifty-odd years, many people have participated in, embellished and built on. Memories are selective, often fragmentary information comes in fits and starts as chance comments trigger recollections inaccurate, if instrumental, information abounds, especially in the popular press. This is often reiterated in different spaces and by different kinds of people. There is another and more substantiated version of this story that did not end quite so successfully for Mr. Rangan: Mr. Rangan’s attempt to circumvent the rules governing coronation gifts by making the mat look like a gift from the mat weavers, and himself their intermediary did not work. According to the Inventory Clerk for the London Palaces and Residences, following a lengthy correspondence between D J C Crawley of the Commonwealth Relations Office and Major Sir Michael Adeane at Buckingham Palace (1953), the mat was, in the end, not accepted as it continued to be classified as a personal gift. Clearly, the elements of the story that remain here are the beauty of the mat, India’s handicrafts, the Indian nation and British royalty That poor and skilled weavers were a crucial part of this gift makes the story even more magical, even more able to be used as a springboard for action involving the weavers and the rest of the nation. To think these through is to open up the rich and complex World of ‘craft’ in India. It is to show why—for producers, for the Indian nation, for national and international development agencies, for those within and beyond India in search of ‘roots’, for those who seek to ameliorate poverty, inequality and other oppressions—craft truly matters. It is also to show how artisans, including the mat weavers of Pattamadai who are at the heart of this book, become visible through the objects they make. Craft matter: is a study of marginalised people who strive to be visible and valued, knowing at the same time that they stand for the past and that the future does not belong to them, indeed by definition never can. By means of development schemes and through their objects, which in many ways are as important as they are, they participate in the creation of value at the point of production, and are then swept up into other more influential attempts to create value in locales that are closed to them or open in very narrow ways. This book about craft and development in contemporary India is based on ethnographic Fieldwork over several periods of varying length between 1997 and 2003 among Muslim artisanal mat weavers of Pattamadai town in south India and among development agents who work with the weavers. The book seeks to understand the processes and particular ways in which people like the mat weavers become visible within the Indian state and how they are created as particular kinds of subject, and simultaneously as objects of national and international concern. It asks why artisans actively participate in the shaping of images about them that they recognize as, at best, partially representative of what they do and why The creation of artisans as objects of development emerges from the engagement of the universal and the particular, of the place of the traditional in the modern (which in itself is, of course, a modernist project). The frictions between these (Tsing, 2004) generate creative encounters that allow a group of poor marginalised Muslims in a small town in south India to reposition themselves within the nation. But there is another kind of friction with which this book seeks to engage: between the production and circulation of images of craft with their claims to universality; and craft weaving in Pattamadai as a particular kind of production system with its logics of embodiment, material concerns, opportunity costs and aspirations. Value emerges not only in consumption and exchange but also in the relations and processes of production that give rise to the objects that are exchanged and consumed. The ethnographic method, in moving from the large to the small to the large again, allows an exploration of the different spheres within which value is created, transformed and recreated. This is what this book seeks to do through an examination of the production and circulation of craft objects’ in contemporary India and beyond. I ask how and why the concept of ‘craft’ has gained such powerful purchase in twentieth and twenty-first century India, and suggest that this is because of the way in which the trope has been used to imagine a certain mode of production that has ideological appeal: objects predominantly handmade by groups of people who may be described as forming a ‘community’ and who, by virtue of the production techniques as well as their often hereditary ownership of the work they do, are not simple sellers of their labour in the marketplace. Artisans are imagined to share a deep and meaningful relationship with their work, which is embedded in their social relations not only within the community but also in (traditional, networks. Furthermore, I suggest that many people seek to resolve their feelings of unease and disquiet about the world in which they live—of industries, alienated labour, lifestyles that leave no time for enjoying the simple pleasures of making—through the consumption of objects made by ‘traditional craft producers’. Artisanal craft producers are construed as deeply integrated in their natural environment, drawing both inspiration and raw materials from their surroundings. Craft, here, stands for rootedness and for an inalienable link with the natural world and the collective past. In this perspective, different craft forms materialise the collective heritage of the nation, even of humanity, and must be protected in the face of growing onslaughts from increasing industrialisation and urbanisation. Who Wants a Better Loom?